While it is difficult to tell from one photo, the tan color of the matrix suggests that the specimen may be from White's Level, Middlehope. 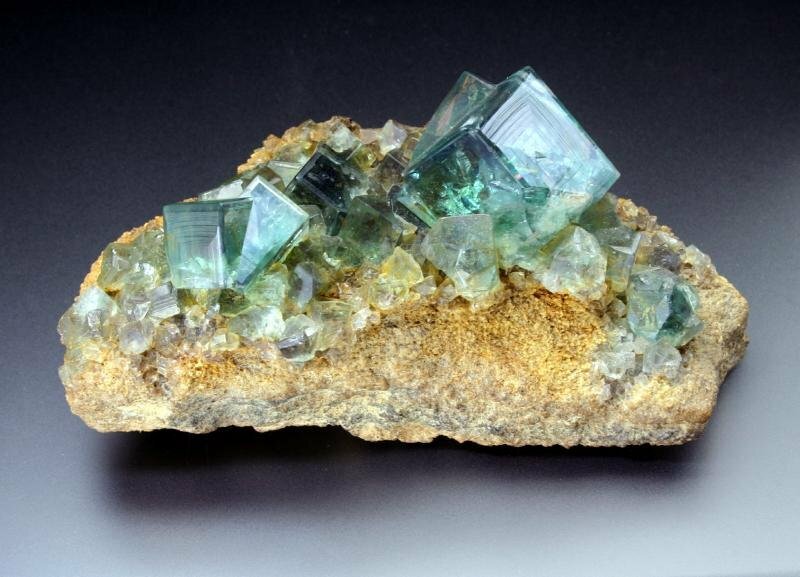 There was a very large find there around 1818 and many specimens of green twinned fluorite ended up in museum collections that date to the mid 19th century. 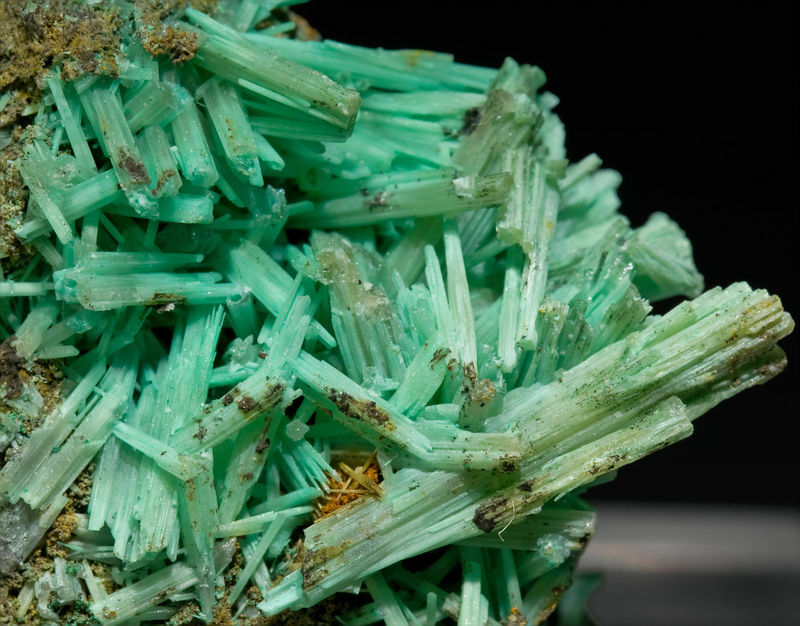 The specimens, if given a specific location, are usually attributed to the Heights Mine. 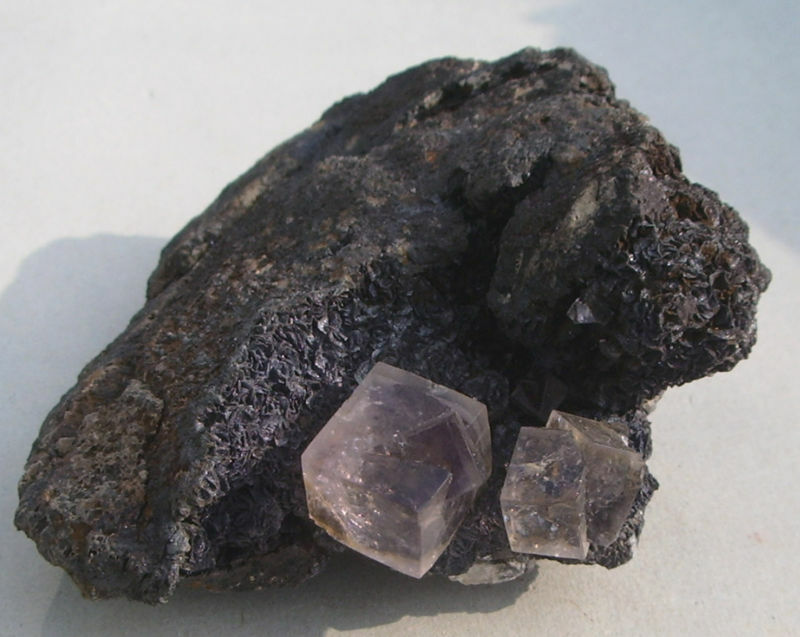 Heights fluorite is usually on a dark ironstone matrix while the specimens from Middlehope are on a buff to tan colored matrix. 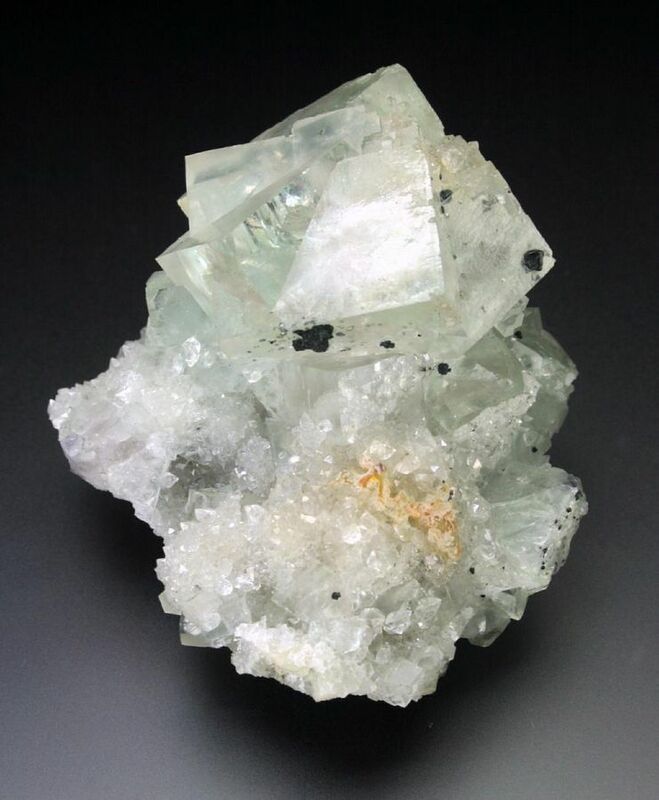 The green color of the fluorite has usually faded a bit from 200 years of exposure to daylight. Here is a photo of a specimen that I believe came from this find. Specimen is likely from a large find that occurred circa 1818. 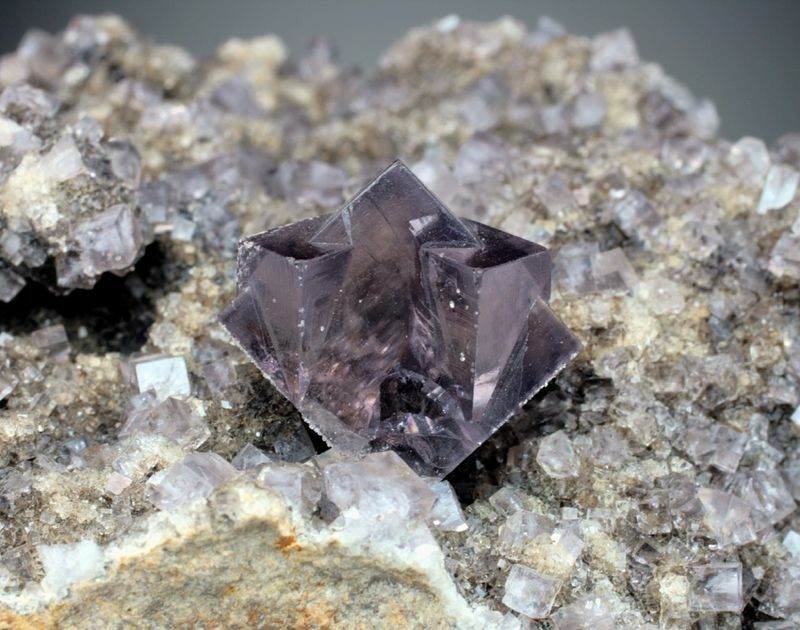 Fluorite from a lesser-known Weardale location. This thumbnail specimen is from Shield Close level in Middlehope. Another thumbnail from another lesser-known Weardale location. 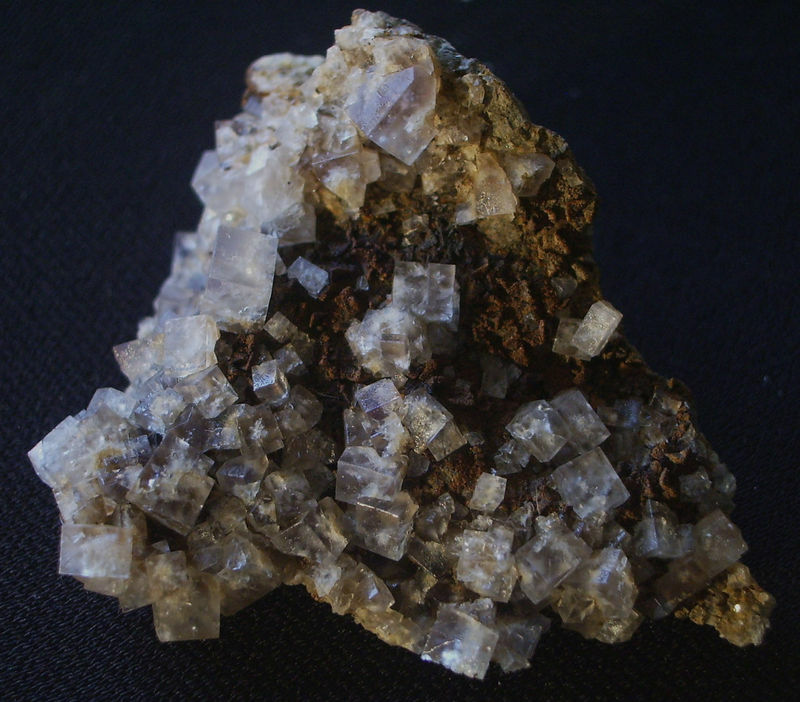 Fluorite from Middlegrove vein, Killhope. 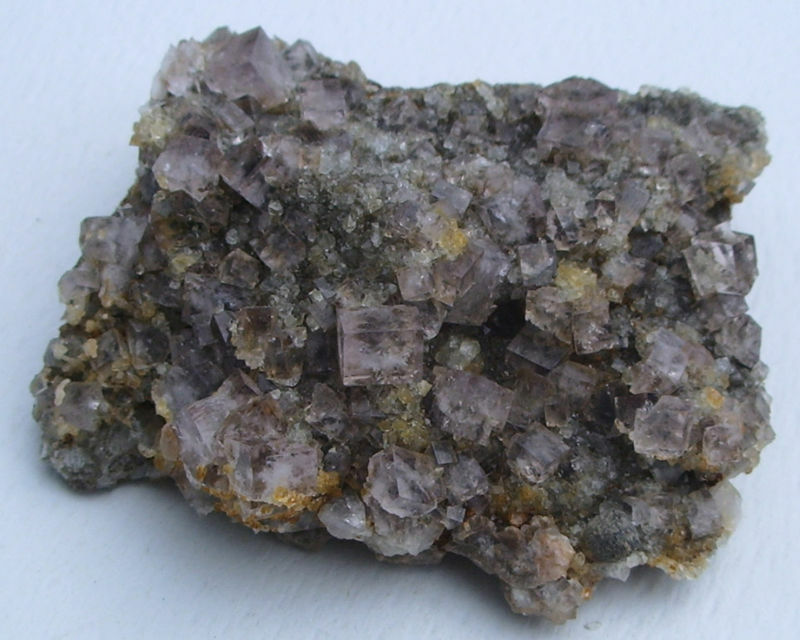 The Redburn Mine was a major fluorspar producer during the 1970s, but never the source of many specimens. 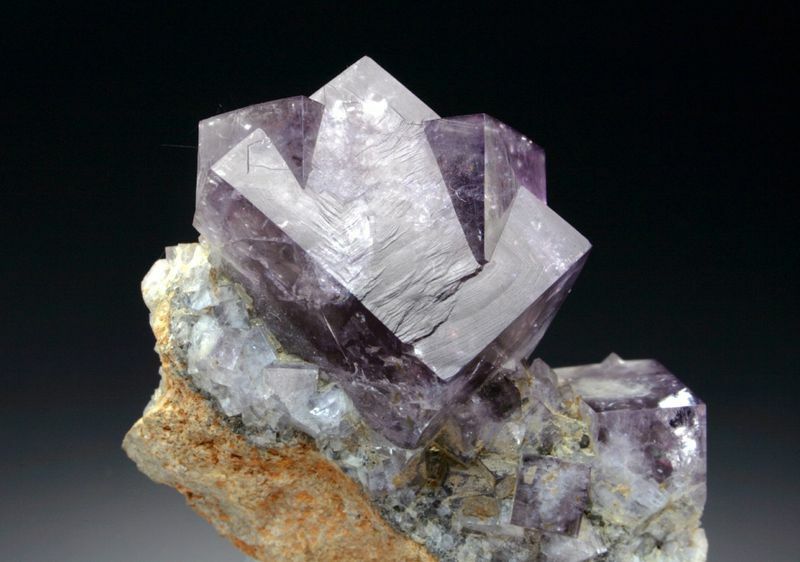 This fluorite came from the Arthur Scoble collection, and his label indicates that it was found in 1974. Like so many recent mines in Weardale, the site was completely cleared after the mine closed and it is now very difficult to find any trace of it. 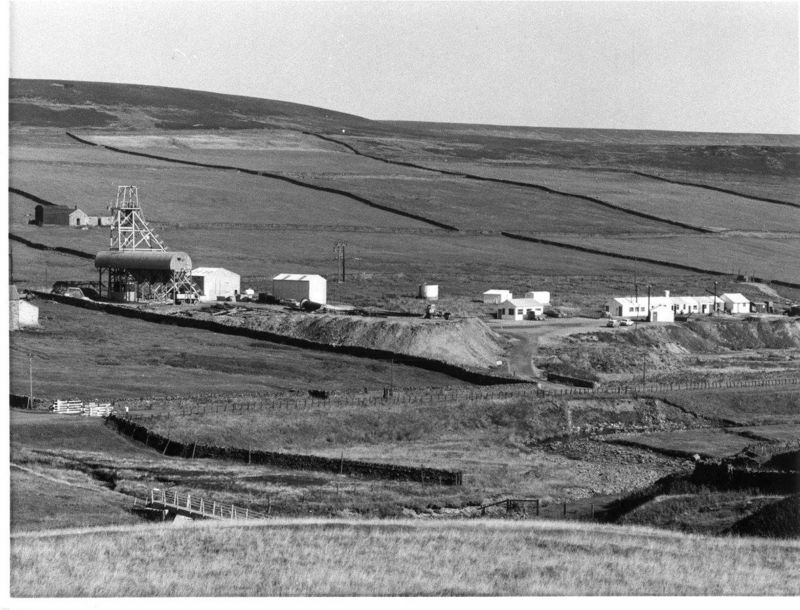 A photo of the Redburn Mine site, taken sometime around the mid 1970s. 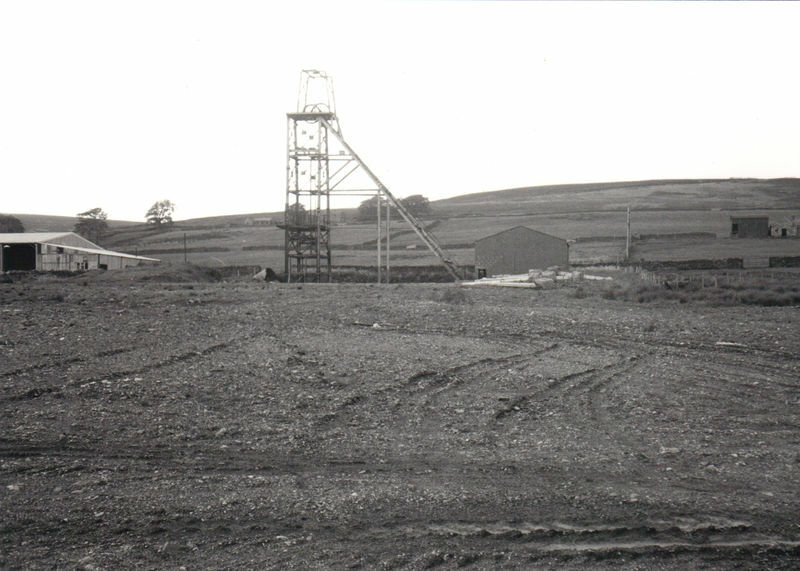 The headframe at Redburn was left standing when the rest of the site was cleared. This pic was taken in 1984/5 but I'm not sure how long it survived after that. People tend to think only of Weardale when you mention fluorite from County Durham but Teesdale has also produced some interesting specimens. Nothing like the quantity of its near neighbour and usually not of the quality but still pretty good. 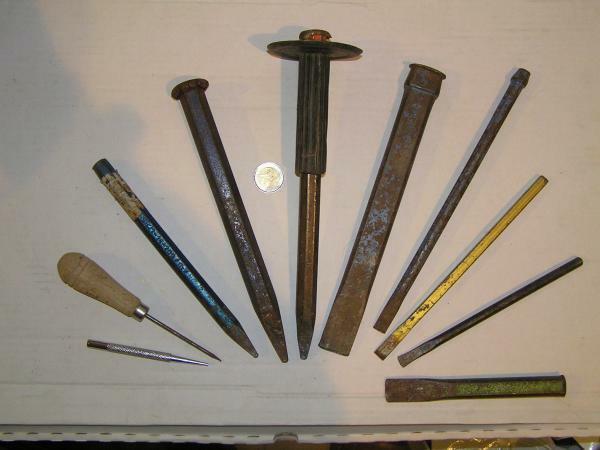 Here's a few from Skears Firestone level. 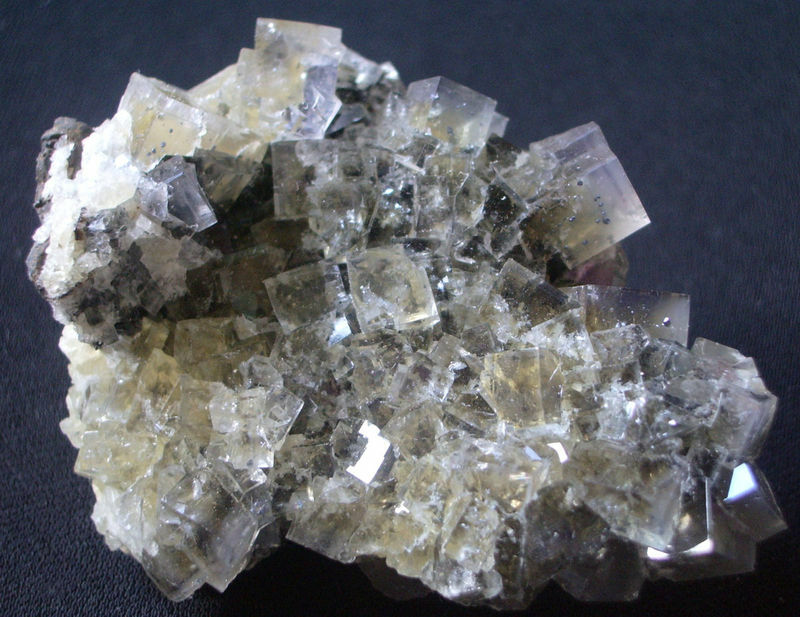 Crystals are generally in the order 8-12mm. I should add that the database entry of 'Skears Mine' is not very accurate as there were two distinct Skears Mines. 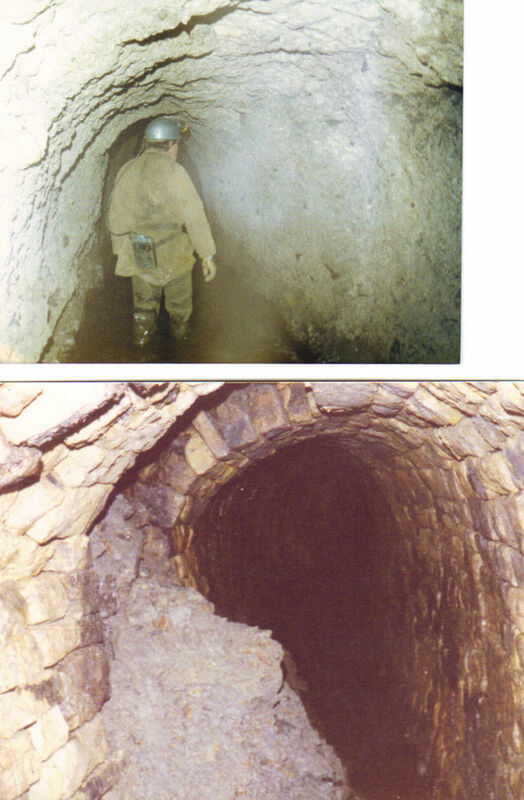 High Skears worked a totally different set of veins to the Skears low level which was connected internally to the Firestone level and worked as a single mine. Middlehope Old Mine when it was being worked for fluorspar in the 1980s. I bought a flat of fluorite specimens from the lad who was working here at the time. They were an unusual oily-green and rather dull colour but useful location pieces. All moved on quickly so no pics. Another Teesdale fluorite, this time from Langdon mines, Langdon Beck. 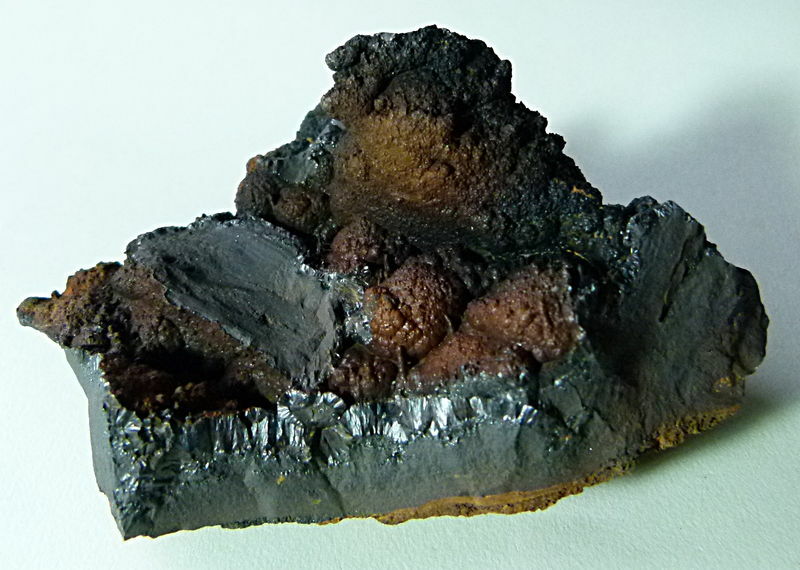 Untwinned crystals on goethite/limonite matrix. Maybe chloro-carbonate or carbonate (copper). A nice double twin from Pike Law, near Newbiggin, in upper Teesdale. Nice One, Jesse. I recovered this one about 15 years ago. Main crystal is about 2cm. 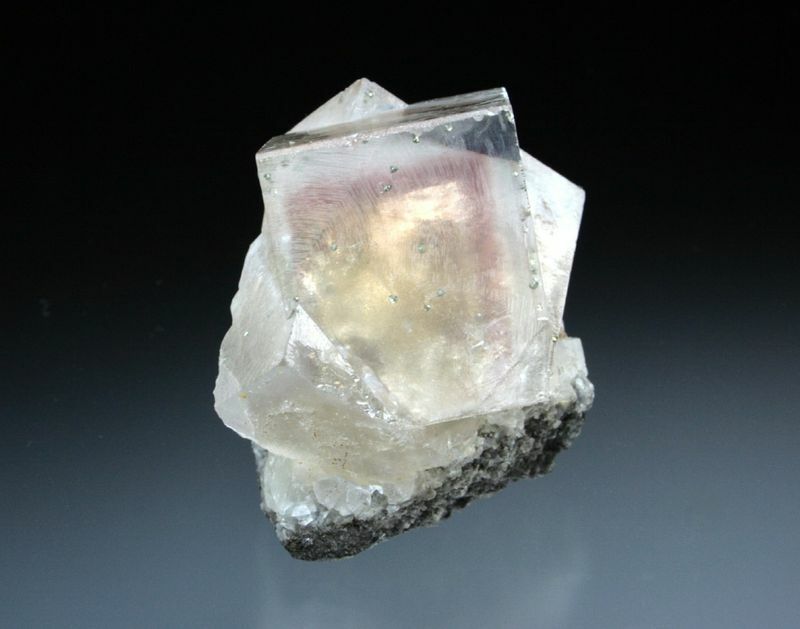 Back in the 80s there was one cavity containing pale green twinned fluorite crystals to 3cm. Green is very uncommon in Teesdale. Exploring Skears low level back in the 80s. The top pic shows the level driven through boulder clay where it requires no support. Where it passes through shale it is stone arched but ground pressure frequently causes collapses. Another lesser-known Weardale locality. 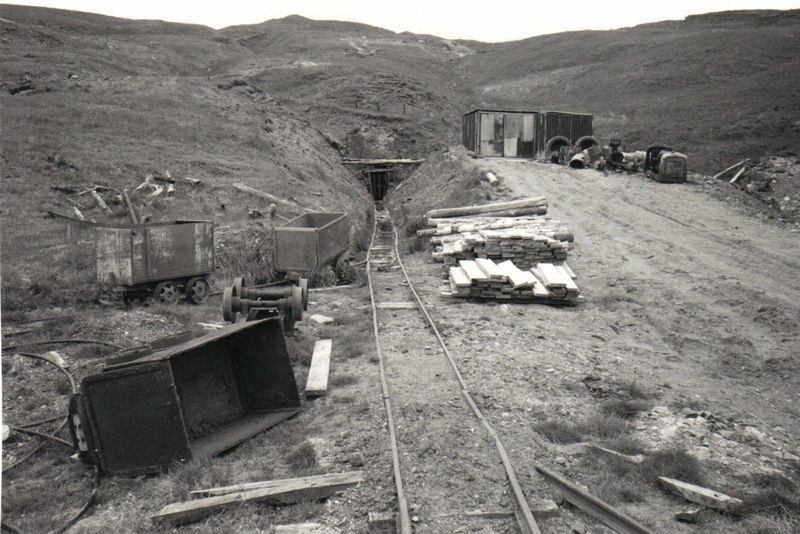 The Stanhopeburn Mine was worked for fluorspar off and on through much of the 20th century, finally closing around 1985. 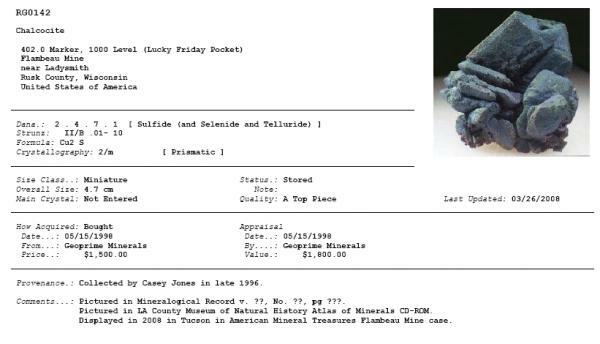 The mine was not a prolific specimen producer, however. 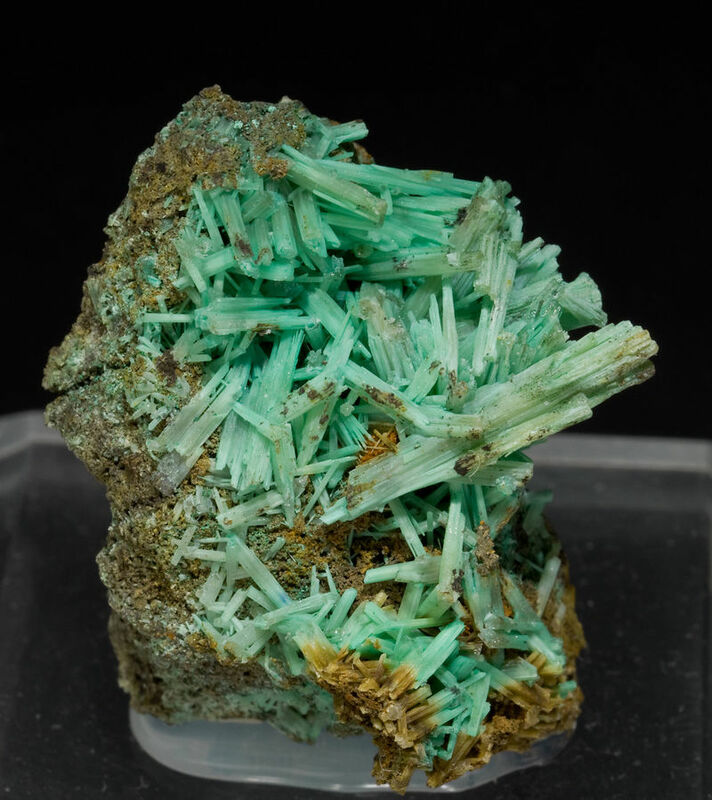 The specimen came with a Gregory, Bottley & Lloyd label which appears to date to the mid 1980s, so it is likely that the specimen dates from the last period of mining. 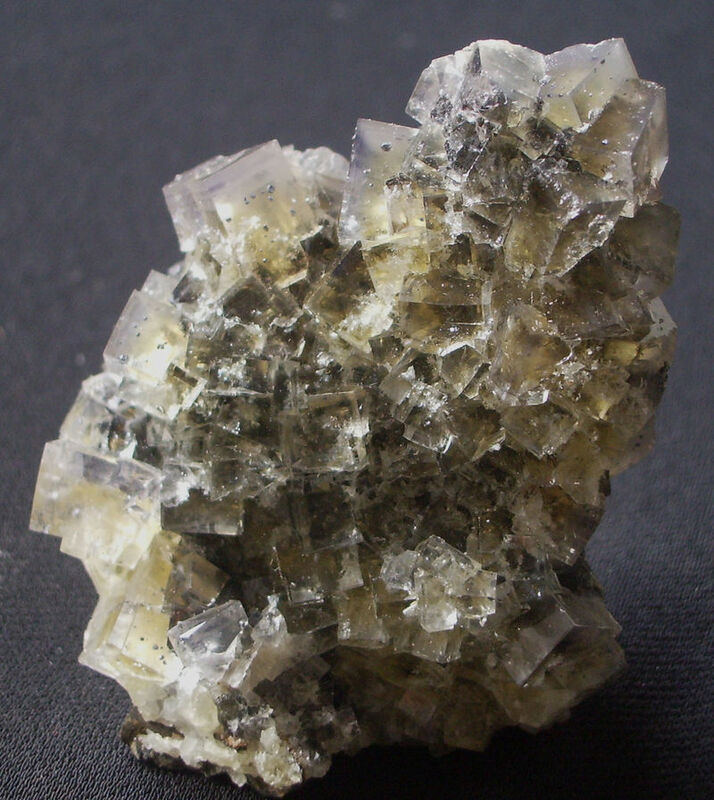 Stanhopeburn is probably better known for the cerussite specimens it produced. 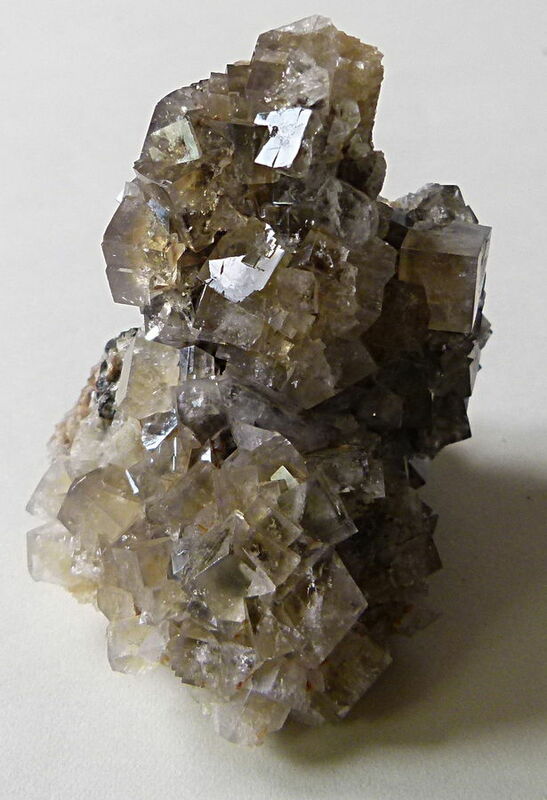 Some nice fluorites also came out of the limestone quarries and opencut ironstone workings lower down the burn. This 14cm plate is from the Trough vein on the east side of the burn. Another relatively unknown Weardale location, the Newlandside Quarry. An open cast stone quarry on the Great Limestone, located south of the River Wear near Stanhope. 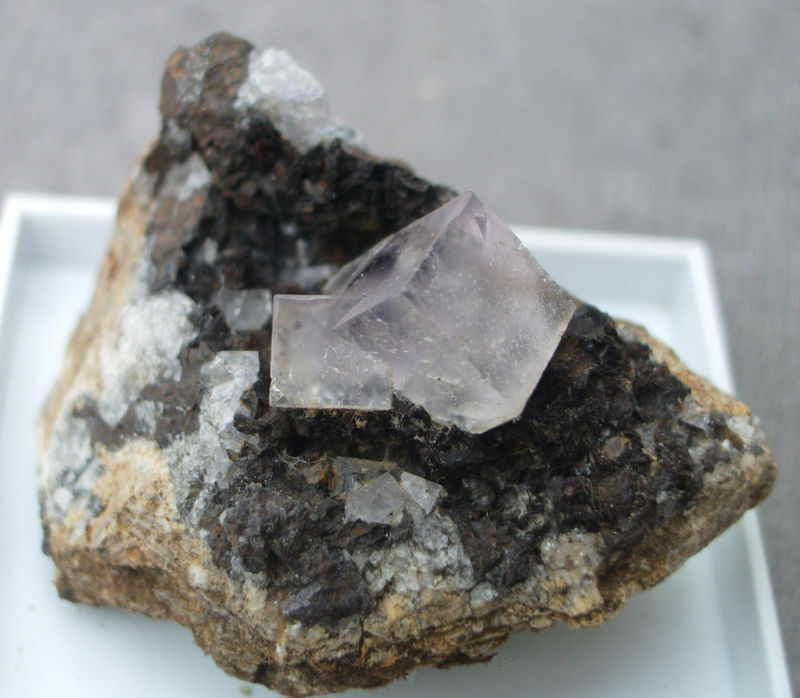 Quarrying has exposed some mineralized veins that occasionally yield fluorite specimens. 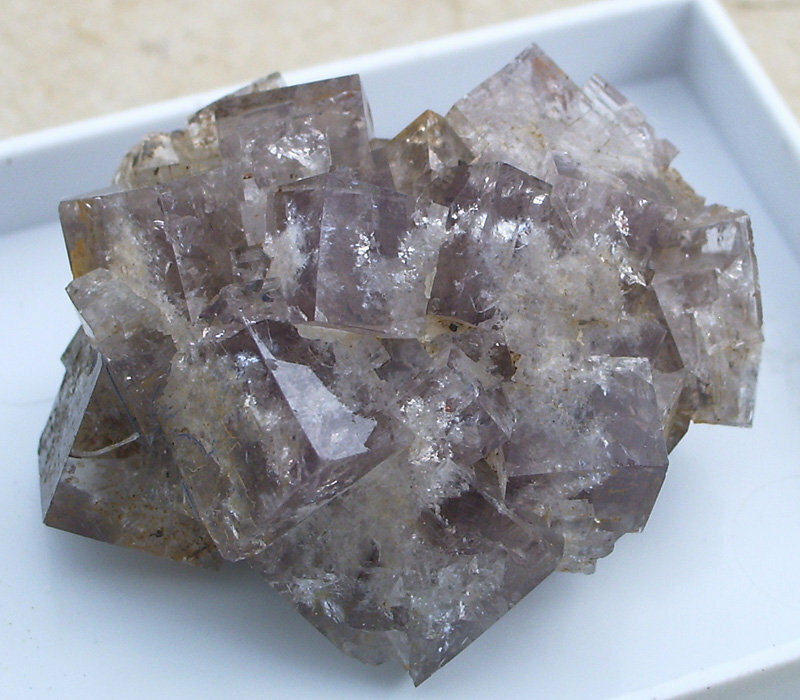 Never seen such a well-crystallized double twin of gemmy fluorite, very cool!! !